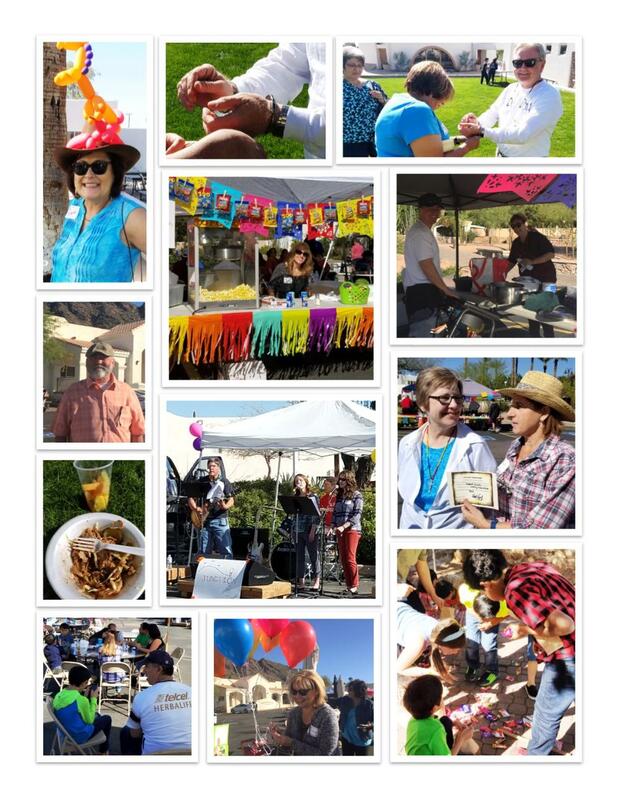 A sincere thanks to everyone in the English and Spanish Cursillo communities who participated in Fiesta 2018! We thank the Good Lord for the motivation to persevere; our goal was to bring our community together for the good of the Cursillo Movement in our Diocese. 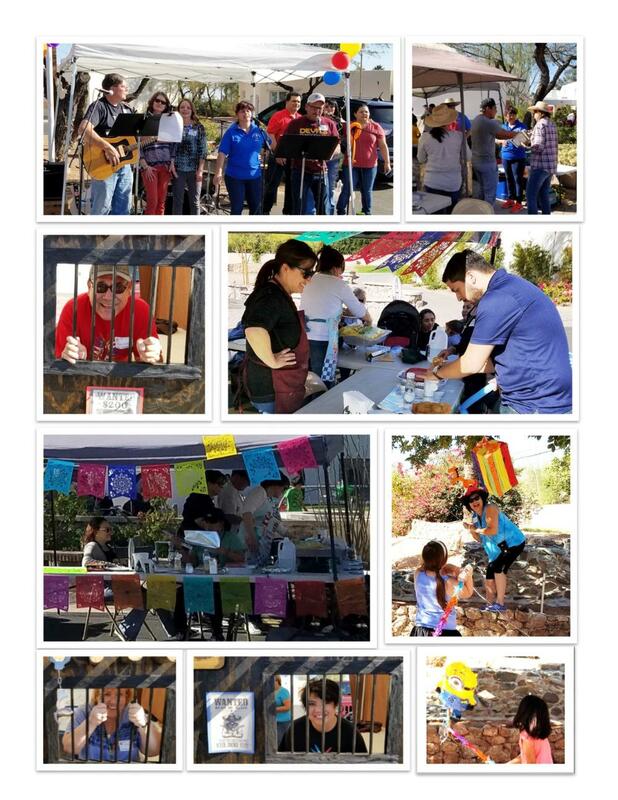 The Fiesta was a success due to all who participated, because of their abundant generosity of time, talent, and dedication – despite the fact we had no budget and the date had many conflicts! Bonnie Boag and Karen Zienta who did a great job with the Bake Sale and the Cake Walk. Thanks to everyone who contributed cakes, cupcakes, and cookies. Tina and Randy Johnson who did a fabulous job creating the kid’s games with balloon darts, a ring toss, touchdown pass, Frisbee toss, bottle ring toss, and piñatas. Special thanks to her “kid volunteers” who ran most of the games! Add to the games our talented face painting artist Kristene Mailloux and balloon animals courtesy of Rod Hanks, who spent the day clowning around, and the kids had a great afternoon! Brenda Halpain, Kathy Norton, and Faith Volgelsang made sure that no disorderly conduct was left unpunished with the “Jail for Jesus”, built by Maryellen Baxter's son, Nate Holcombe. Vince Johnson and his group Cross Junction, who came down from Flagstaff to entertain us all with great rock and good Christian music, too. He was also our emcee and kept the fun going all afternoon. Jo-ann and Ruben Trevizo, who ran a great rummage sale. Thank you to all the many volunteers who were involved in setting it up Friday and taking it down Saturday afternoon, including Bev and Clayt Arnold and Bertie Chavez. Thanks to Dennis and Tisa Williams for the loan of the truck for a month to collect items and who took the leftovers to St. Vincent de Paul. And thanks seems too small a word for the assistance we received from Tom McGuire and Raul Bencomo of Mt. Claret; they were ever-present and responsive to everything we needed. We know we have not thanked everyone by name, but each of you who helped and donated is greatly appreciated for the time you spent on this event. 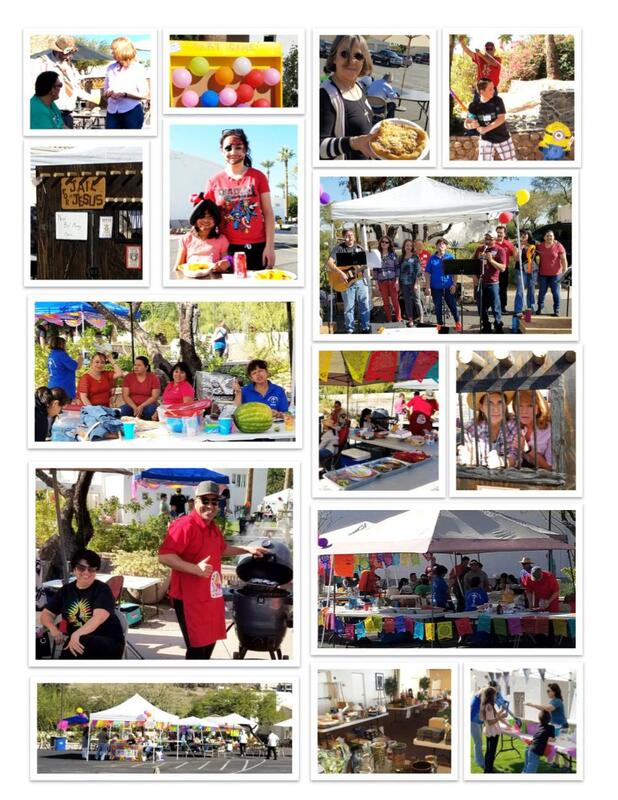 The purpose was to have some fun and bring our community together and we did! Hope we see you again next year!